The Pennsylvania jury that deadlocked on the fate of Bill Cosby mirrored the split in the court of public opinion. 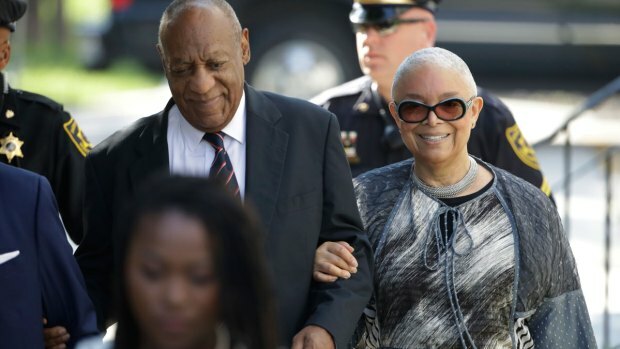 The mistrial declared Saturday underscored a wider struggle to reconcile the disconnect between prosecutors' depiction of Cosby as a sexual predator and his long run as one of our most beloved entertainers. The 12 Pennsylvanians, unlike the rest of the country, sifted through evidence and testimony as they considered over 52 hours whether Cosby drugged and assaulted then-Temple University employee Andrea Constand in his home outside Philadelphia in 2004. The public could only judge Cosby via media reports – including the unproven allegations of dozens of other women, whose accounts, stretching back to the 1960s, largely echo Constand's. Steadfast Cosby supporters can point to juror division as evidence of a prosecution case that was far from open-and-shut. But there’s little doubt, reasonable or otherwise, that the trial helped seal the new image of "America's Dad" as, at best, a philanderer. There's no doubt he had sexual contact with Constand (Cosby contends it was consensual). There's no doubt Cosby handed Constand pills (Benadryl, he says). There's no doubt he said under oath, during a deposition, that he bought Quaaludes to give to women he wanted to bed. There seems little doubt all this will be rehashed with prosecutors vowing to retry Cosby. The unsettling details of the case stand at odds with the previous popular perception of a man who rose to fame mining the humor of relatability with family friendly stories of growing up in a hardscrabble section of Philly. Cosby forged a special connection with children, dispensing laughs and wisdom from a cartoon junkyard in 1970s Saturday morning staple "Fat Albert and the Cosby Kids," and even in commercials for Jell-O. He reached his pinnacle in the 1980s with "The Cosby Show," playing the sometimes goofy, but reliably loving patriarch of a model, yet very human family. The NBC show became a ratings hit and sitcom classic that some believe helped pave the way for the election of the first African-American president a generation after its debut. By now, Cosby should have been taking an extended victory lap – transitioning into life as "America's Granddad," while practicing the storytelling-driven standup style he turned into an art form. Instead, at 79 and with faltering eyesight, his legacy appears destined to be viewed through tarnished lenses. In 2015, as accusations against Cosby mounted, Gallup put his “unfavorable” rating at 62 percent, compared to four percent 18 years earlier. 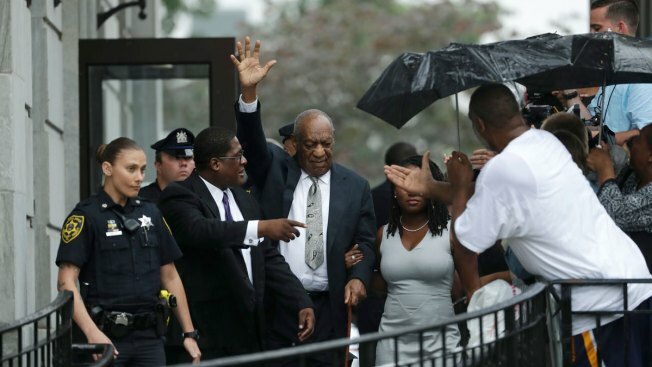 Bill Cosby left the Montgomery County Courthouse Saturday with his legal fate still in limbo. The same could be said for what remains of his once-stellar reputation.